For the month of November I had a hard time deciding which book to select as my Book of the Month. This isn't an unusual thing for me, I tend to buy 2 or 3 of the selections they have listed. For November I selected my monthly subscription: Uncommon Type: Some Stories by Tom Hanks; and then paid $9.99 each for two more: Bonfire by Krysten Ritter; and The Rules of Magic by Alice Hoffman. To be completely honest, I had planned on reviewing Bonfire by Krysten Ritter for this month's Book of the Month Club review. This is her debut novel, and I really wanted to know if she could write as well as she acts. But when I got an e-mail from BoMC stating shipping on my November books had been delayed due to the high volume of orders of The Rules of Magic, I knew I needed to read and review it instead. No worries, Krysten, your book will be reviewed by me soon, I'm sure! As for you, Mr. Hanks, I have a Pinterest Reading Challenge topic already picked out for your stories. 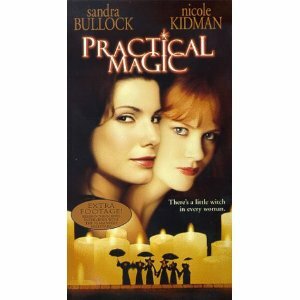 Practical Magic was also made into a movie in 1998 staring Sandra Bullock and Nicole Kidman. I'll come straight out and say it: I wasn't a fan of this book. It's not a bad book by any means, I just didn't care for it. I enjoyed snippets, bits and pieces, but overall, there wasn't enough there to make me enjoy it. First, I found that the story line dragged... a lot. This book starts at childhood of the lives of three siblings - Franny, Jet and Vincent Owens - and follows their lives until they're old and grey. There was a lot of story that I feel could have been put into this book seeing how it spans their entire lives, but yet I feel the entire book was about the same exact thing over and over again, just a different times in their lives: The Owens' family has been cursed so that anyone they love will be ruined. It became very monotonous. Second, the books is a bit depressing. Not only are the Owens children constantly fighting against their own hearts not to fall in love, but there is so much death! After a few sections, I had a feeling of Game of Thrones overcome me where I told myself not to get too attached to anyone because they were going to eventually end up dead. And sure enough, just about everyone dies. Granted, the time span, it makes sense for so many characters to die, but they all die young and often very tragic deaths. Lastly, I was disappointed on the magic front. 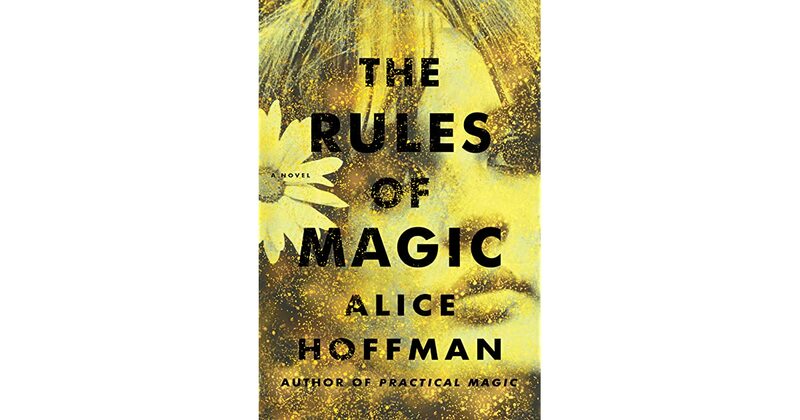 When I read the title, The Rules of Magic, I assumed there would be some magic in it. But instead, premonitions, mind reading and tonics and tinctures is what most of the magic turned out to be. Franny could communicate with birds, in a sense; Vincent could move things with his mind; and Jet - for a fraction of the book - could hear everyone's thoughts, but other than that, the magic was special brewed teas, fancy black soap that would make you look younger with one washing, and growing everyday herbs in the garden. It was nothing more than an old medicine man, which I know way back people used to think of as witches, but the book begins in the 1950s. With all of this being said, I didn't hate the book. I just didn't enjoy it. It took me almost three weeks to finish reading the book, and the last 150 (give or take) pages of it I finished just before writing this review, and that's only because I knew my review date for it was looming. Maybe I read The Rules of Magic during the wrong time of year. Maybe I would have enjoyed it more had I gotten to read it closer to Halloween, rather than over the Thanksgiving Holiday. When Thanksgiving hits I'm all about Christmas until the end of the year and only want to read happy, festive things, and this was not one of those books. However, there were some wonderful scenes in the book: Franny and Haylin in the elevator; Jet and the Reverend; Vincent when he finds love. But there were so many that were unnecessary and even confusing. The scenes eluding of something to come were by far the worst and most confusing. I believe even if I had read this closer to Halloween, I still wouldn't have enjoyed it. The Rules of Magic just wasn't for me. If I had to give it a grade, I'd give it a C-. Love this book? This book was difficult for me to come up with a good match for you to move on to from here. I found that while reading The Rules of Magic, I often thought to myself that if you put The Crucible by Arthur Miller and Pride and Prejudice by Jane Austen together, you would get The Rules of Magic. 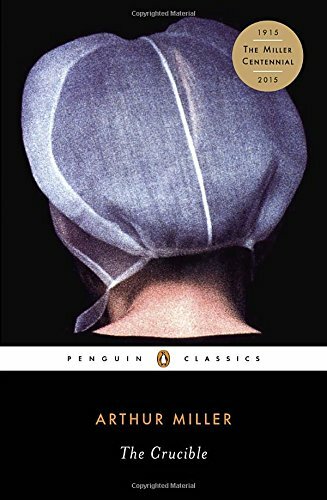 "I believe that the reader will discover here the essential nature of one of the strangest and most awful chapters in human history," Arthur Miller wrote of his classic play about the witch-hunts and trials in seventeenth-century Salem, Massachusetts. Based on historical people and real events, Miller's drama is a searing portrait of a community engulfed by hysteria. In the rigid theocracy of Salem, rumors that women are practicing witchcraft galvanize the town's most basic fears and suspicions; and when a young girl accuses Elizabeth Proctor of being a witch, self-righteous church leaders and townspeople insist that Elizabeth be brought to trial. The ruthlessness of the prosecutors and the eagerness of neighbor to testify against neighbor brilliantly illuminate the destructive power of socially sanctioned violence. Pair it with: Lenore Syrah by Corvidae Wine Company. Fruit forward attack and rounded, rich mid-palate texture. Aging in predominantly neutral French oak maintains the bright berry and savory aromatics of this wild, gamey varietal. Start a conversation: What would your first rule of magic be?